The Travel Team is excited to see Krause Sawyer featured on Curbed.com Seattle. 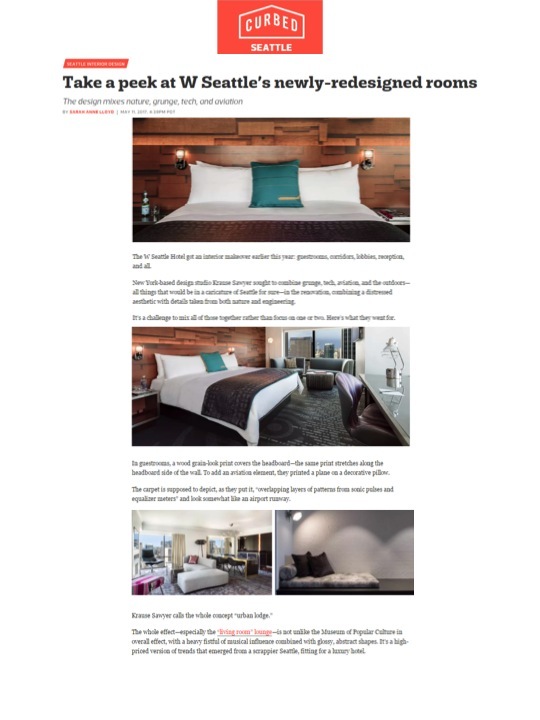 The article displays the design studio’s new renovations in Seattle’s W Hotel. Combining inspiration from aviation, tech, the outdoors, and grunge style, Krause Sawyer turned the W into a beacon of luxury interior design.